From the Tank to the TV! I know I go on a lot about how life can change in a heartbeat. It can and it does and it sounds dramatic – and it often is – and sometimes it can be in a good way. Phone calls at strange times are, to me, scary things. They rarely bring good news. Emails at strange times – like when you check your mail in the middle of the night, just because you aren’t asleep and you can – are not so scary. Although the one I got this week definitely is – but again, in a good way. And who knew that it would take me from the Tank to the TV? 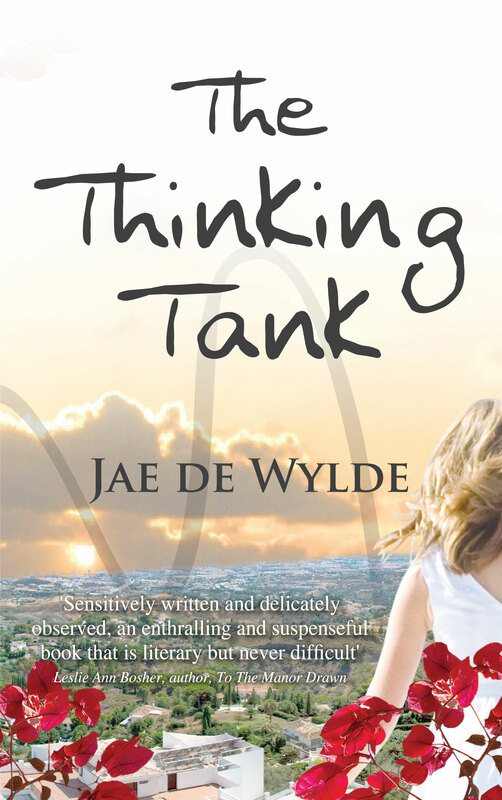 These last two weeks have seen The Thinking Tank hit as high as #27 on Amazon Bestsellers charts in Women’s Fiction. Following the publication of my ‘back story’ in the Gulf News Friday magazine in Dubai and the novel’s Amazon ratings, the very wonderful Jeanne Gray contacted Dubai One, the main TV station in Dubai. As a result, I have been invited to appear on their live chat show, Studio One, this Monday at 7.30pm. Good scary. Scary scary. Scary. I’ve also got a smashing list of book signings lined up. They are all on my Amazon Author’s Page as well as on my website (www.jaedewylde.com) so please do pop in if you around – it would be lovely to meet folks and chat. You never know what the universe will send. I am so grateful for the terrific support from friends, family, my publisher, bookshops and the wonderful journalist, Antonia Hoyle (www.antoniahoyle.com). So please keep fingers crossed on Monday night. Note to self – it’s very uncool to cross your fingers on live TV! Thank you, Waterstones and the good folk of Eastbourne! For the first time last weekend since our launch in Holland, I was signing copies of The Thinking Tank off my home patch. And I really didn’t know what to expect. Eastbourne branch of Waterstones had invited me – and I wanted to do a great job for them. In preparation, they ordered in 20 copies of The Thinking Tank, which is the amount they would expect an author to sign on a good day. I was nervous. What if they’d ordered all those copies and got stuck with them. What then? There was some concern that their copies might not arrive, so just to be on the safe side, I shoved an extra box of my novels in the back of my car. Hurrah that I did! I had the most amazing day there and met some incredible folk. Karen, Vicky and her lovely team could not have been more welcoming – and customers found the time to have a chat, sometimes even, when they read the themes of The Thinking Tank, sharing what was on their heart. Thank you, Eastbourne. I now know I can travel far from home in the hope of finding a home from home for my book. Oh, and I sold 56 copies by the way. Thank you to my readers – I am so grateful for your support. Yes, I know I am supposed to bang on about life’s crappy stuff and how to deal with it, but honestly, can you blame me for wanting just to bask in the loveliness of another day with The Thinking Tank in the Amazon 100 Bestsellers list? How can that possibly be crappy? 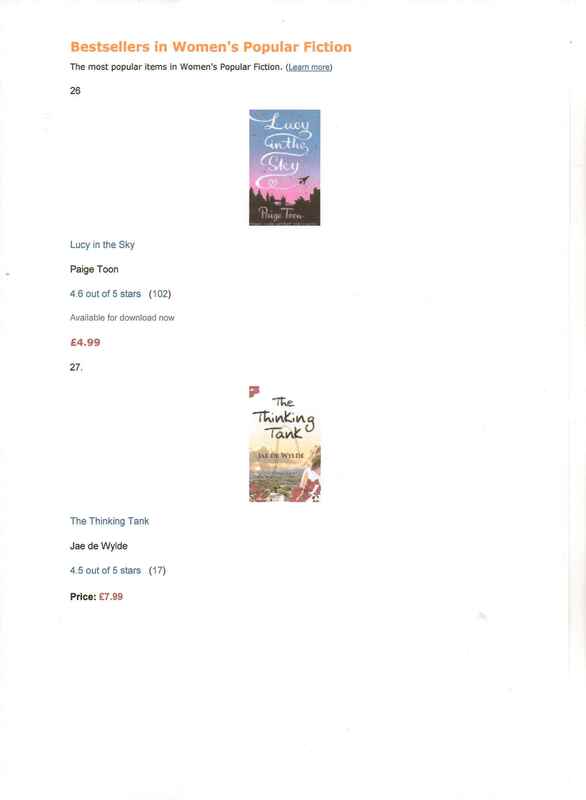 So I just want to take a moment to thank Martin, Jo, (www.joparfit.com), the charming Renata (www.expatbookshop.com) and my lovely, supportive friends, family and readers out there who have made this a truly blessed week. And just to celebrate, the wonderful Graham (www.creationbooth.com) has designed some snazzy bookmarks for me to take on my travels – please come and grab one from me! 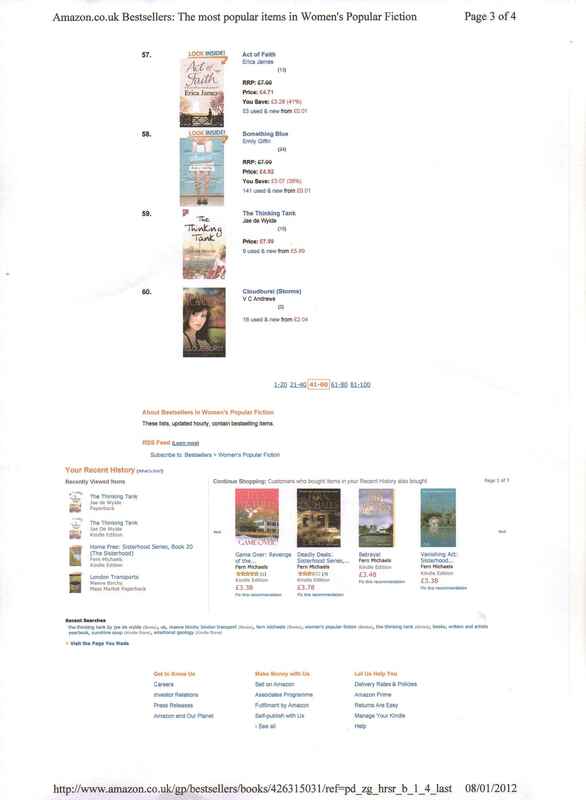 We all know things can change in a second – so I am grateful for this blink of a moment when I have seen The Thinking Tank graph shooting up and those little numbers on Amazon that say you have made it up their with Chris Cleaves, Jodi Picoult and The Devil Wears Prada! Bizarre, blessed and bloody brilliant! Today Gulf News’ Friday magazine has published the story of some of my Life’s Crappy Stuff. Even my publisher (The Thinking Tank www.summertimepublishing.com) has told me that she just wasn’t aware of the details of the tragedy that visited my family 13 years ago – 4 January 1999. I guess this is a real indication of the fact that I just don’t believe in sob stories – in being a victim or parading life’s crappy stuff in an unnecessary way. Like the parable of the mustard seed, we all have our pain to bear – and the worst you have experienced is always exactly that – your personal worst. The grief never goes away – you just try to find a new normal any way you can. So the article linked below, written by amazing journalist, Antonia Hoyle (www.antoniahoyle.com) is a huge departure for me.